Eric Smith introduced this second generation Tardiana-type seedling in the 1960s. 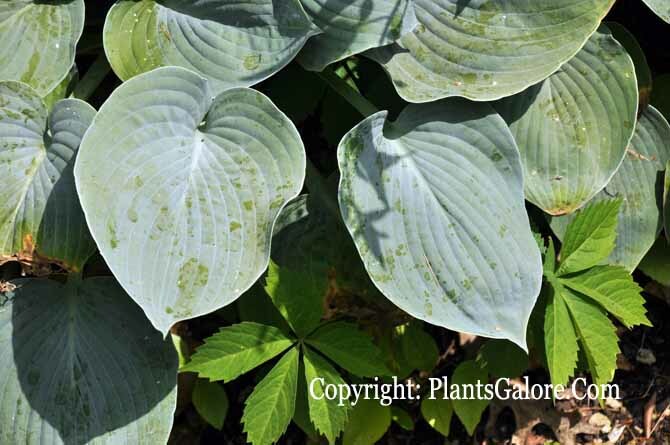 It was registered by the British Hosta and Hemerocallis Society (BHHS) on behalf of Smith in 1988. The medium size plant forms a 17 inch high mound that is about 42 inches wide. The leaves have thick substance and are slightly corrugated. Its very pale lavender flowers bloom in late July followed by viable seeds. According to The Hostapedia by Mark Zilis (2009), "...considered one of Eric Smith's best Tardianas due to its bright blue color, attractive mound habit and good growth rate." 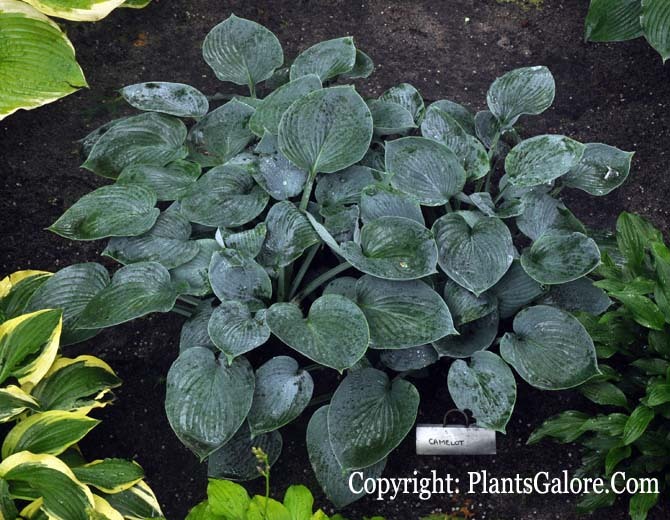 The New Encyclopedia of Hostas by Diana Grenfell (2009) states: "Slow to moderate increase...The best of the lighter blue hostas in the Tardiana Group with a rounder, more pleasing leaf shape." Similar cultivars include H. 'Brother Ronald', H. 'Hadspen Blue', H. 'Serena' and H. 'Sherborne Songbird'.